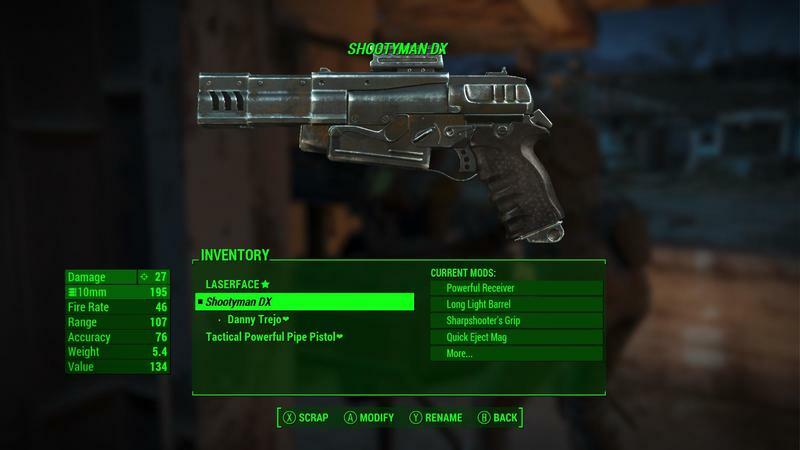 Naming my favorite weapons in Fallout 4 is a weirdly satisfying activity. A reliable, powerful gun is a useful resource, and you want to make sure your favorites are easy to spot in a list of dozens. 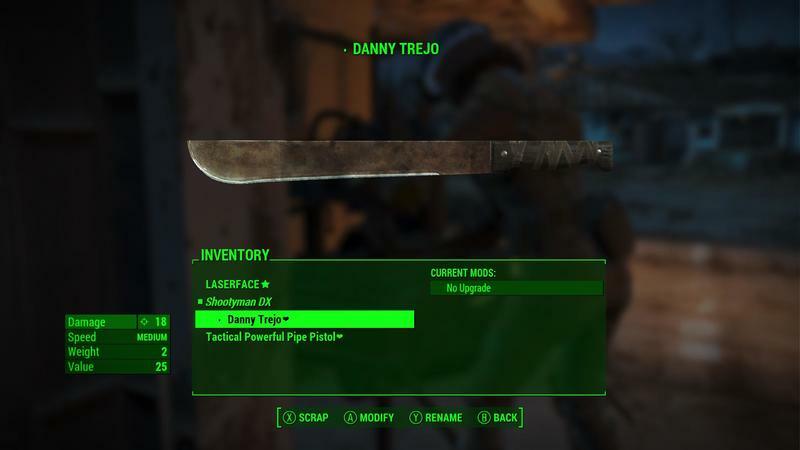 So you’ve found the ultimate weapon, modified it to perfection, and named it. 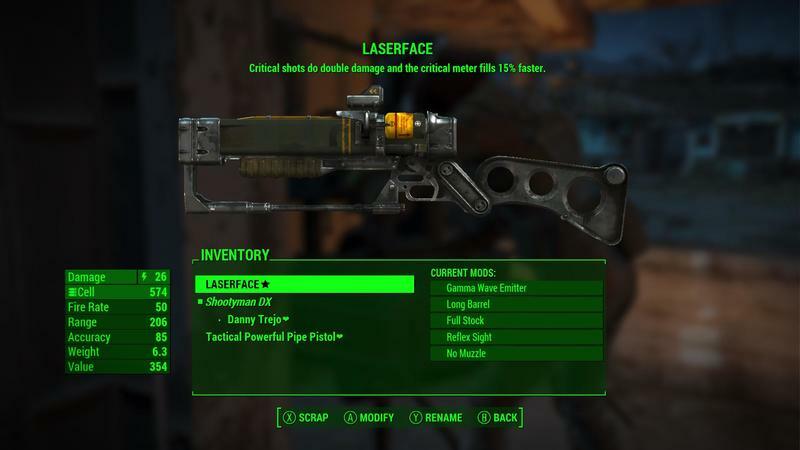 Probably “Laserface” or something. But what is it missing? Bold and italics.
) are confirmed to work. Sadly, blink does not work. The bold option doesn’t do a whole lot, but the others do. This is the kind of thing that will be, quite likely, patched out very quickly. While it’s unlikely players could cause too much mayhem with this due to its very specific application and the limited character space, the possibility that you could inject any kind of code into a game is potentially problematic, and this works on consoles as well as PCs. Get your fun in while you can, as this may not be available for much longer.